Thiago Rodrigues Aleixo, a native from Brazil, will begin his 4th year as MSC/CGSA Trainer for the combined U16G Macon/Warner Robins United team. 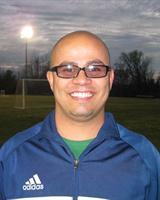 Thiago started his soccer coaching career with the Twisters Soccer Club in the 2004/2005 season, in addition of being the Assistant Men's and Women's soccer coach at University of Saint Mary. After his GA role at Saint Mary, Thiago moved back to Macon and started coaching at CGSA, where he also served as Academy Director. Coach Thiago received his bachelor's degree in business administration from Mercer University in 2004.He was a four-year midfielder on the men's soccer team at Mercer, earning the sportsmanship award in his senior year of 2004. He ended his four seasons with a total of 15 goals and helped the Bears advance to their first-ever NCAA Division 1 National tournament in 2001. Thiago was named the A-Sun Offensive Player-of-the-Week in 2003 after scoring the game-winning goal in double-overtime to lead Mercer over instate A-Sun rival Georgia State University. Additionally, Thiago earned the all-tournament award at the UMass Fall Tournament in 2003. Prior to his collegiate career, Thiago played for Santa Cruz, one of the top clubs of his hometown.He also played Futsal (Indoor Soccer) for Olimpico and Saraca.